As soon as I saw that there were sticky notes, I knew I would have to have them! 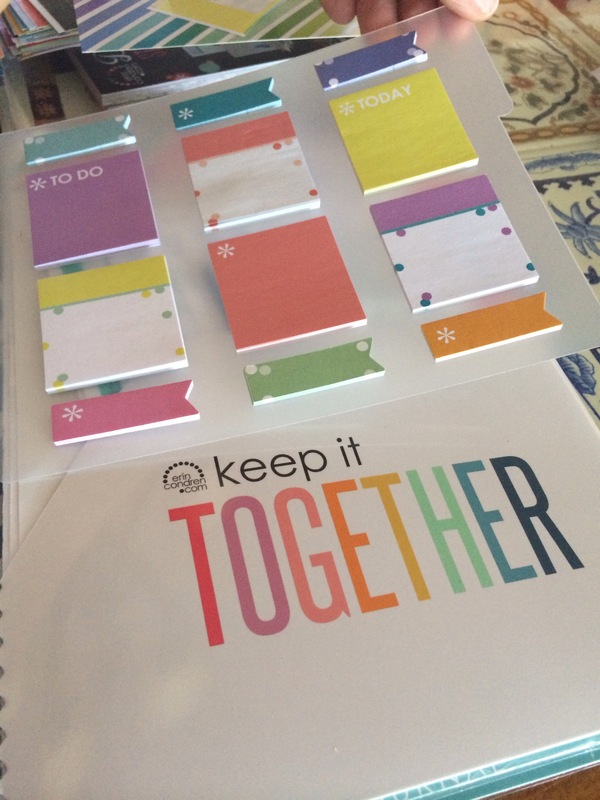 I use sticky notes all the time in my planner and the EC brand looked super cute! 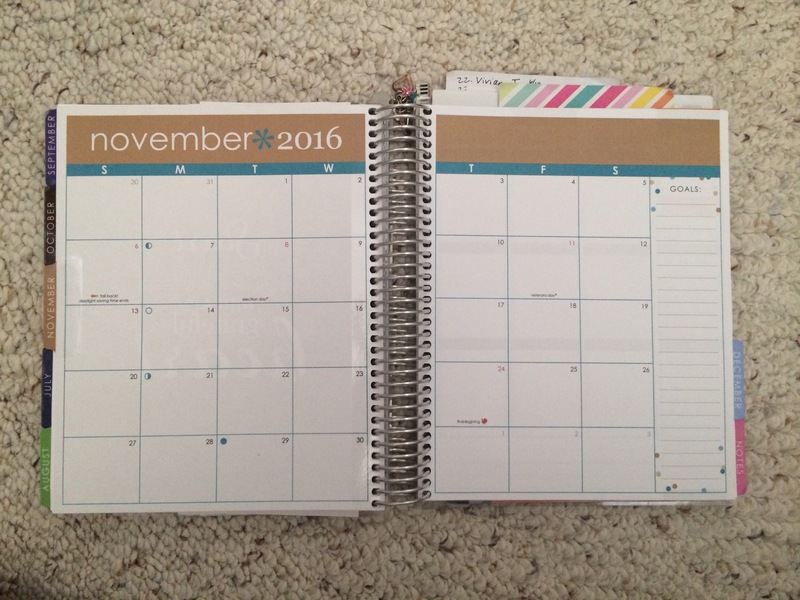 I had heard people saying that they didn’t love the dashboard because it made their planner too thick, so when mine arrived, it actually stayed in the package for a week. As I continued to use my planner I realized that turning to my pocket folder in the back wasn’t as easy this year because I’m not using a pen loop. 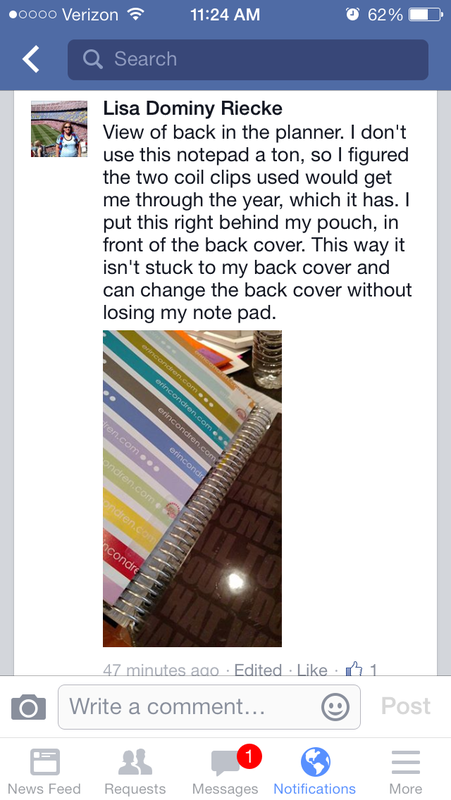 In he past, I would always put my pen loop on the folder which made it very easy to turn directly to that place in my planner. Bit this year I found myself struggling, having to flip to it in sections, and this was frustrating. I got the idea to put my sticky note dashboard right in front of the folder, and I love it!! The clear tab is perfect for grabbing when I want to get something out or put something into my folder. 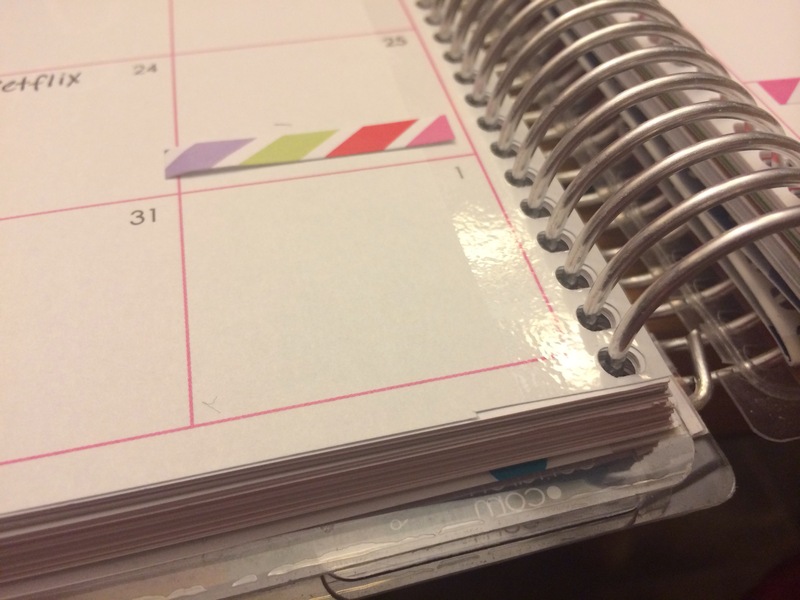 While having the dashboard in the mididle of my planner does make it fatter (and it already has “fat planner syndrome”), it doesn’t concentrate the bulk at the front where the teeth of the cover would be under more stress. I think I’m going to be very happy having this insert in this location!! 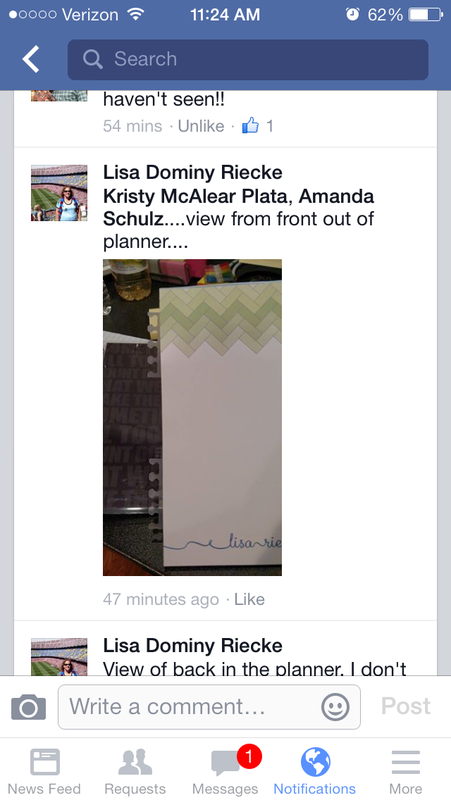 I love being part of the EC community on FB and seeing all the ideas people come up with to make their planners function more efficiently. 2. 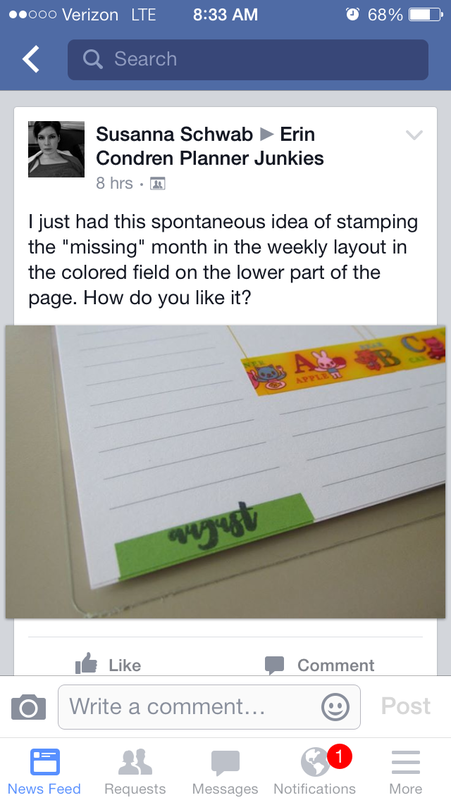 Missing the month label on your daily pages? 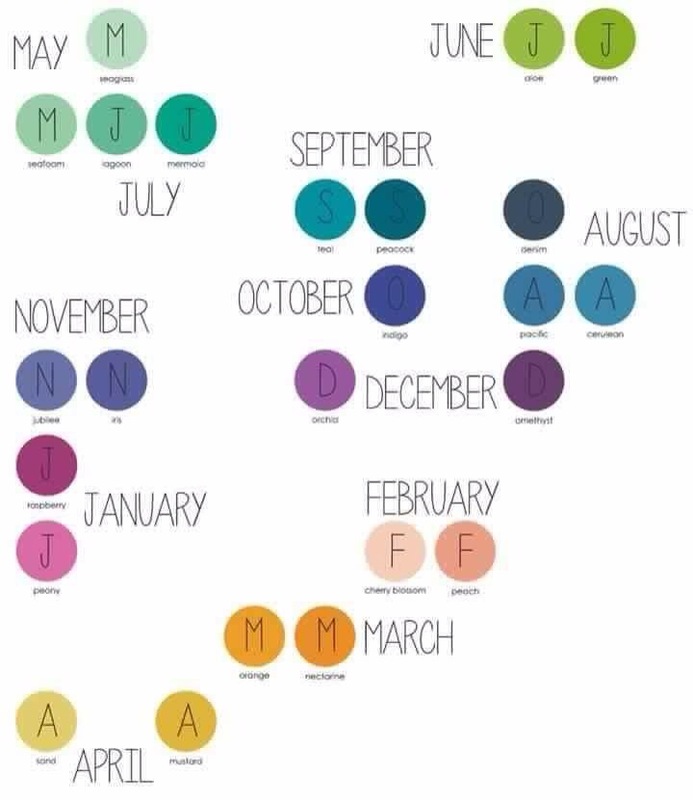 Removing the tiny calendar on the top left corner of the Vertical format left some of us wondering which month we are in if we are planning ahead, or if we don’t have the color palate memorized. 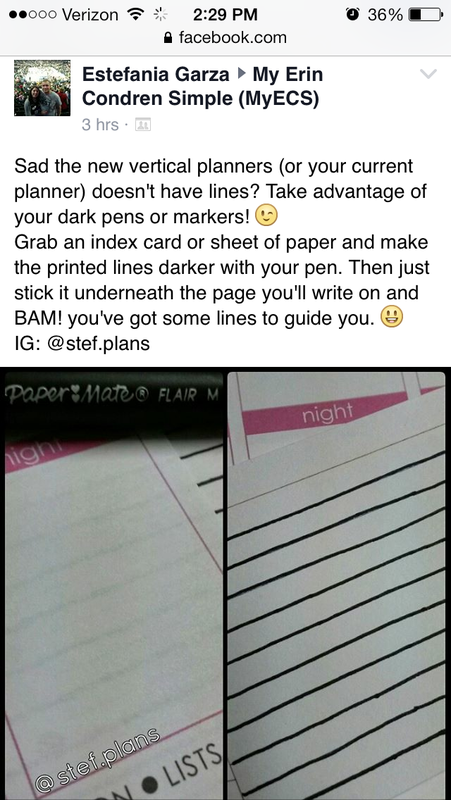 I thought this was an excellent idea to simply write it in that tiny colored box on the bottom left of your daily pages. EC, if you’re seeing this, perhaps you can simply print the monthly name here for the 2016-2017 planners! 3. 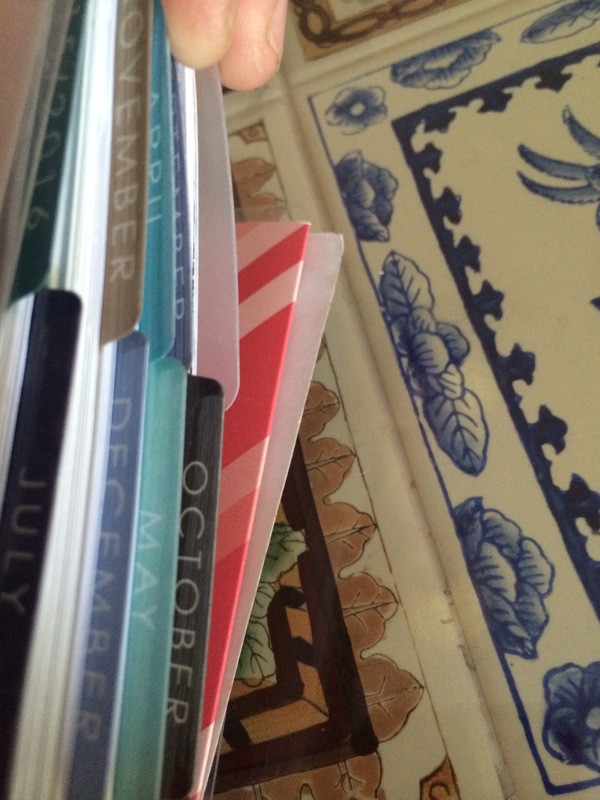 What to do about your notepad when you have removable covers? This tops the brilliance chart for me today. 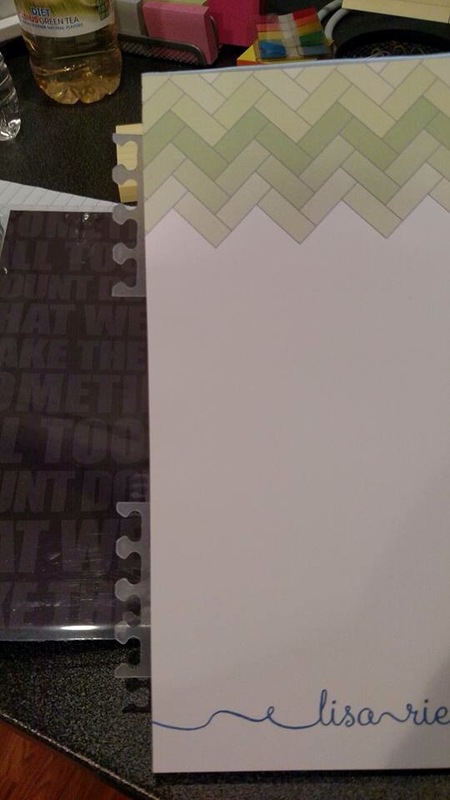 The notepads are designed to be stuck to the back cover of the planner. This worked well when the cover was permanent. But what to do if you change your cover? This! What a great way to have the flexibility of having a notepad when you need it, or removing it if you don’t need those extra pages for that event or that particular day. Thank you to all the ladies in my groups who are sharing their amazing ideas with all of us. 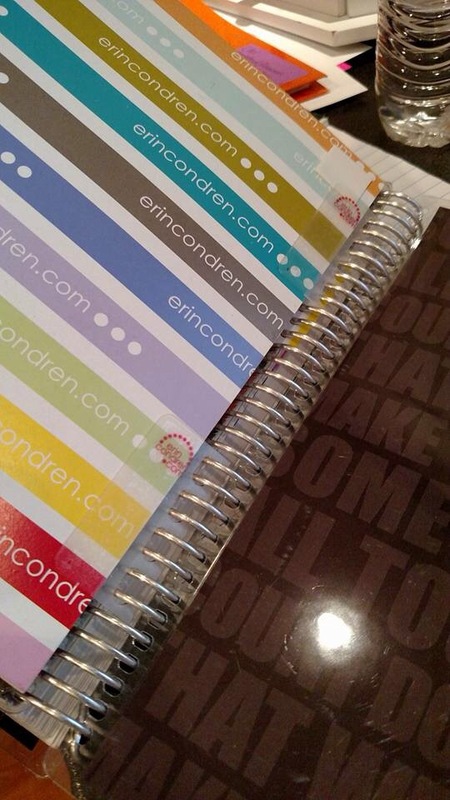 And if you haven’t joined us yet, be sure to check out the family of “My Erin Condren” groups on Facebook. There should be at least one that you can call home! 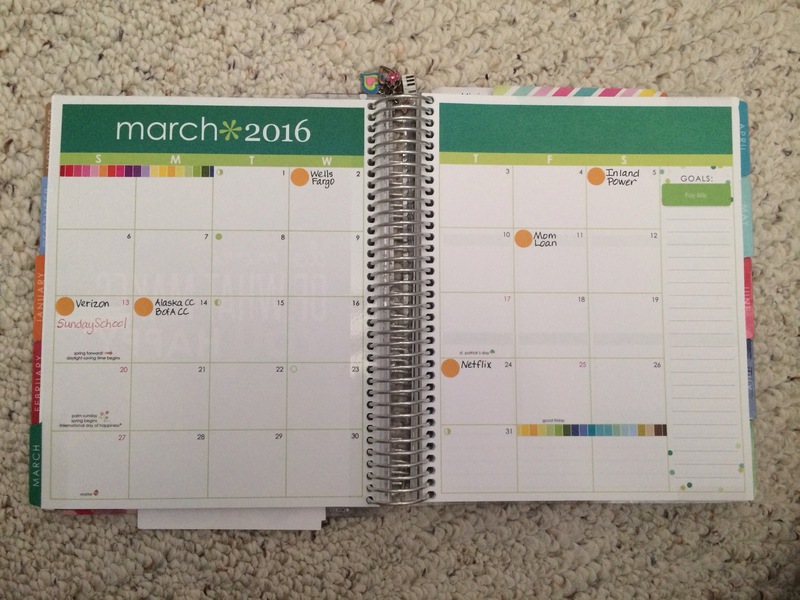 In the Erin Condren monthly layout, as in any monthly layout, there are too many boxes per number of days in the month. 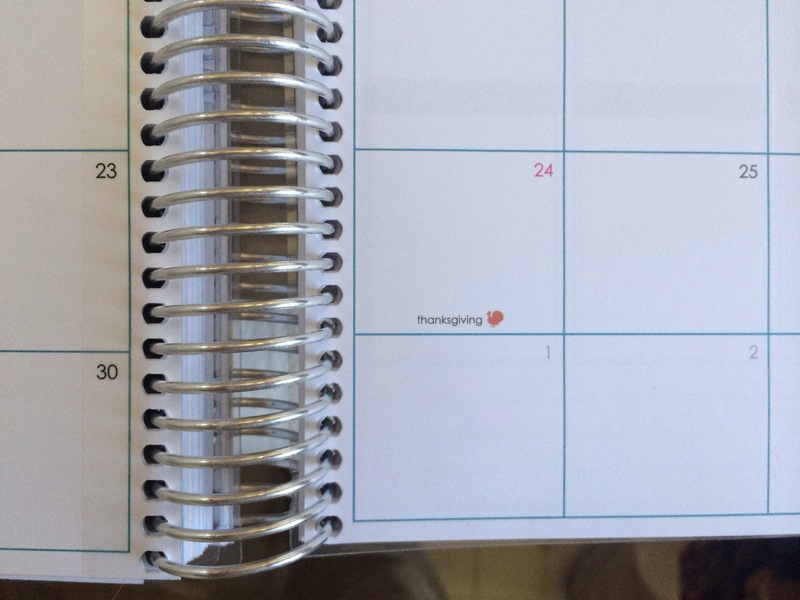 Most calendars simply leave these blank, but Erin Condren numbers the extra days from the precious month and for the following month. 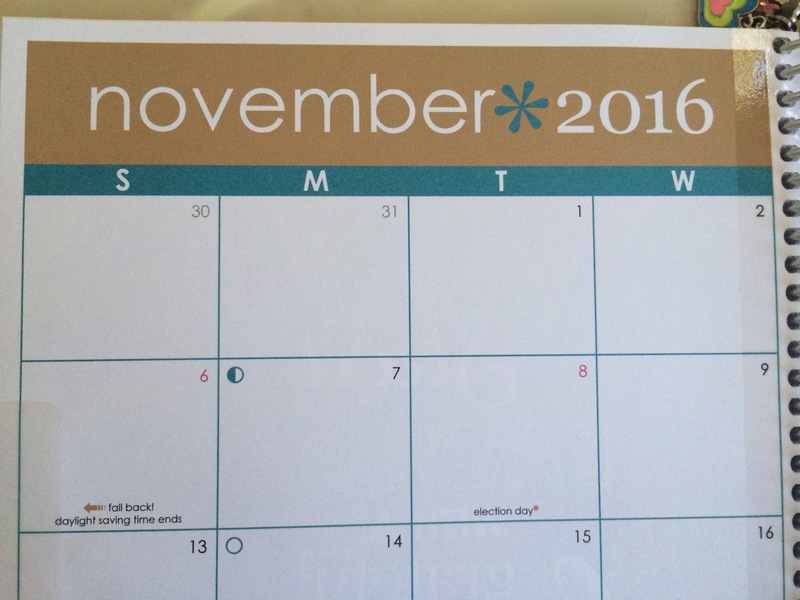 Here’s a look at November 2016. If you look closely, you’ll see October 30 & 31, as well as December 1-3. Let’s take a closer look. The dates are printed in a lighter grey than the numbers for the actual month, but I find this to be confusing while I’m doing my planning. In the past, I’ve simply used Bic Whiteout tape to cover those unnecessary numbers, but this year I’m handling this a little differently. This year, I am using the EC designer Washi sheets to create my own Washi tape to cover the extra numbers. 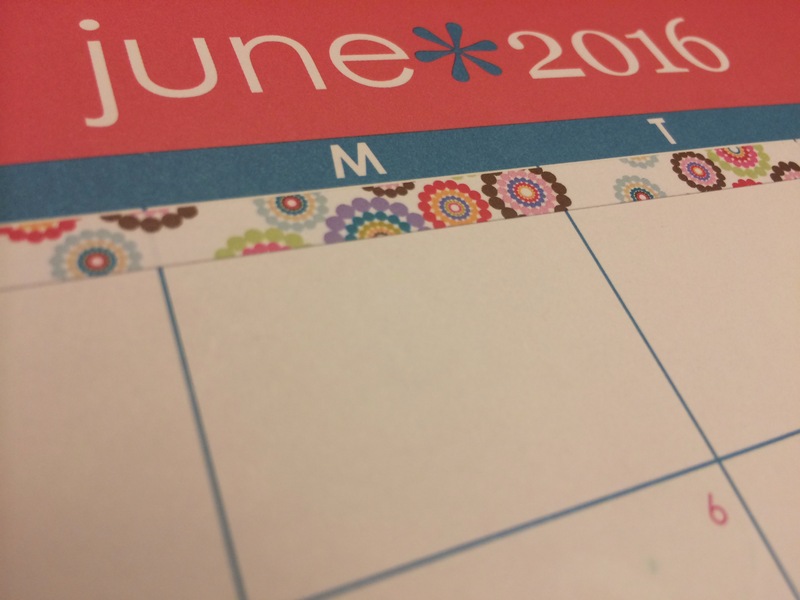 First, grab a sheet that coordinates with your month and your paper cutter. 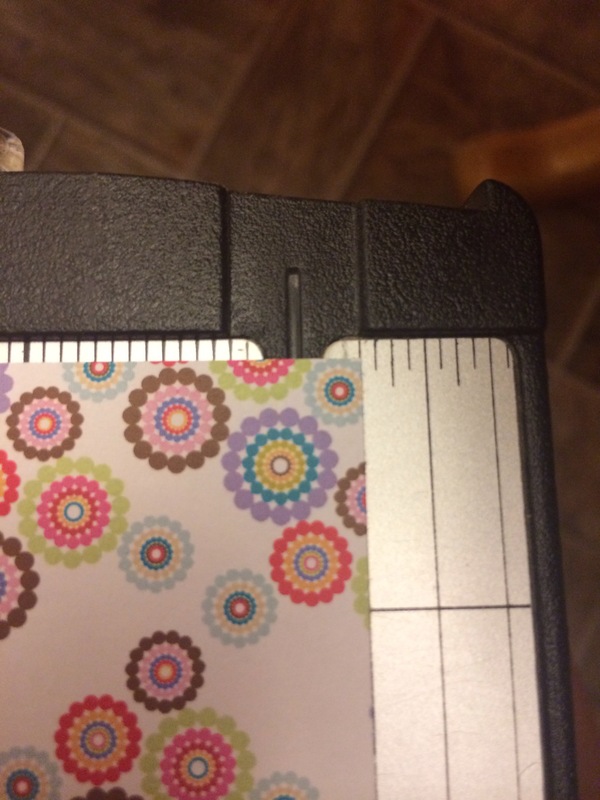 I measure 1/4 inch and cut myself some strips! 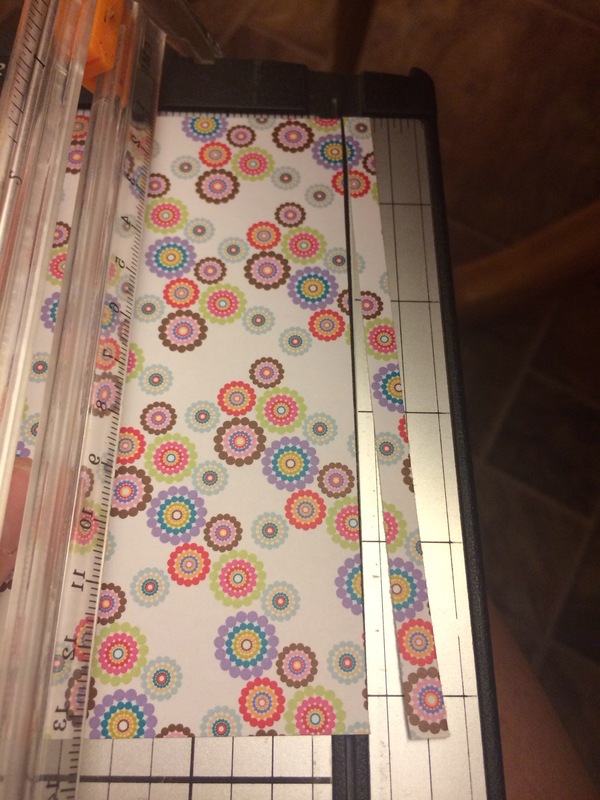 Then I cut my strips to fit across the length necessary to cover those extra boxes. Sometes I just need a tiny strip! I just have to cover those light grey numbers. I can’t have more than one month on my layout (*one exception to this rule that I will share soon). The finished look is simple, streamline, and it allows me to still use the box for important notes. 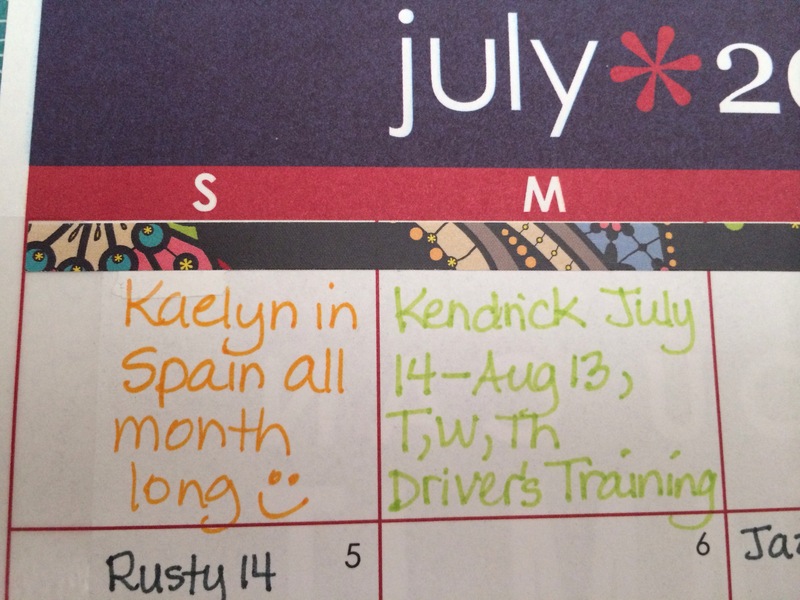 This is my July calendar with 2 notes that pertain to multiple days in the month. 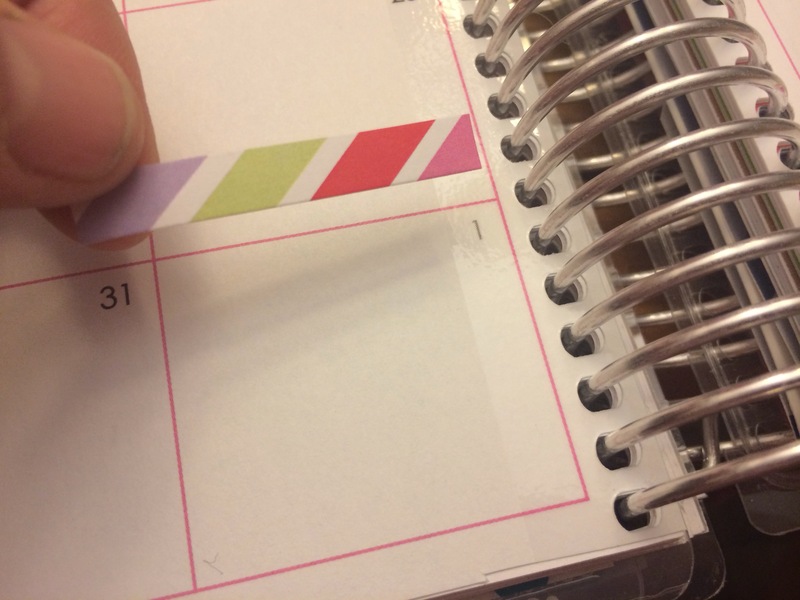 I didn’t want to clutter my layout with Washi strips over the entire month for my daughter, so I simply used a blank box to write myself a little note. Here is the whole layout from my photo examples. 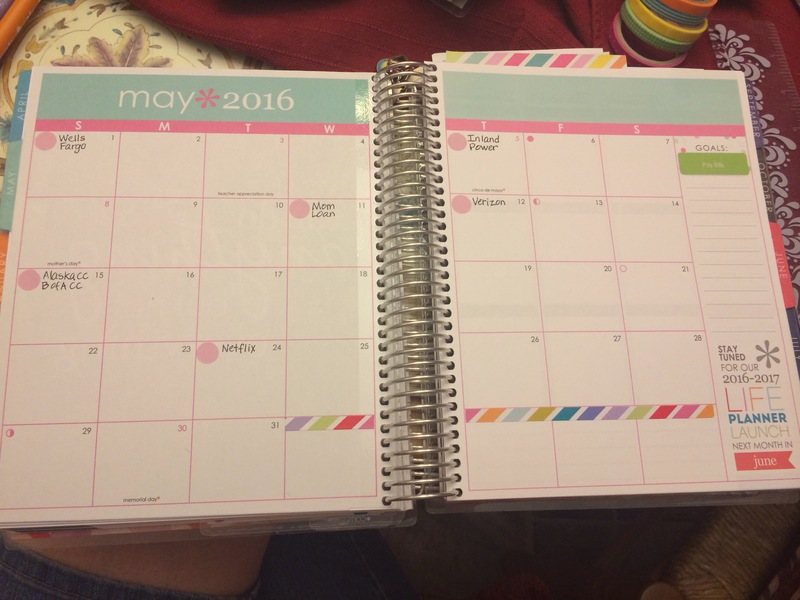 May happened to begin on a Monday, so I only needed my Washi strips along the bottom of this monthly spread. I love that I can cut my strips any thickness that I want. Skinny works best for me, so all of my strips so far are 1/4 inch. I can’t wait for June of 2016. 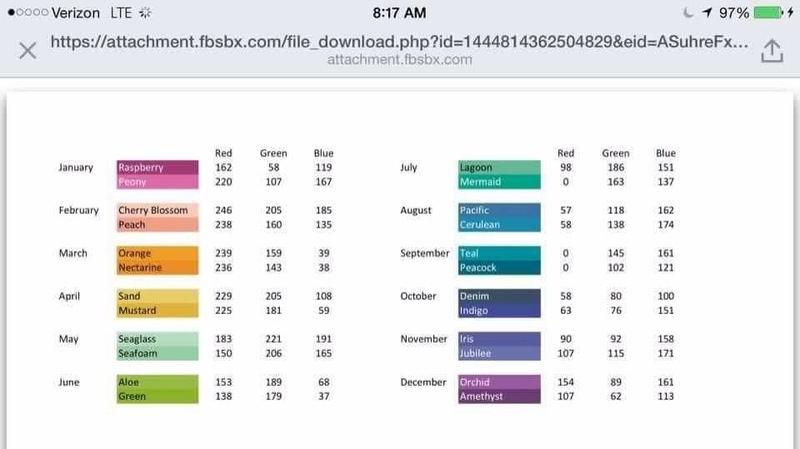 The colors are so pretty together! 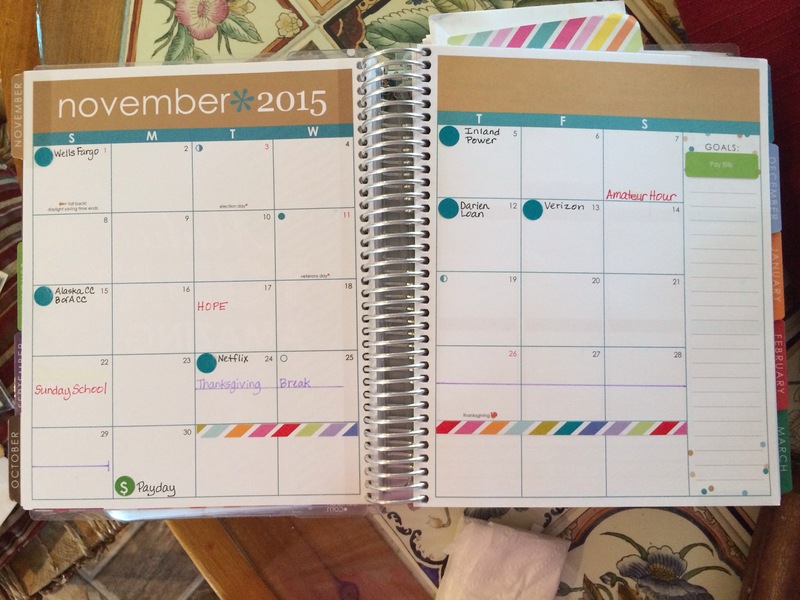 November also only needed strips across the bottom. I’ve enjoyed doing every month except for December. I have the Holiday Washi sheets (with the Christmas themes) in my cart and I’m waiting for the Teacher Planner launch to order because I know I will want the new sticker book that will be available then as well! Here’s March. It required strips on both the bottom and the top! 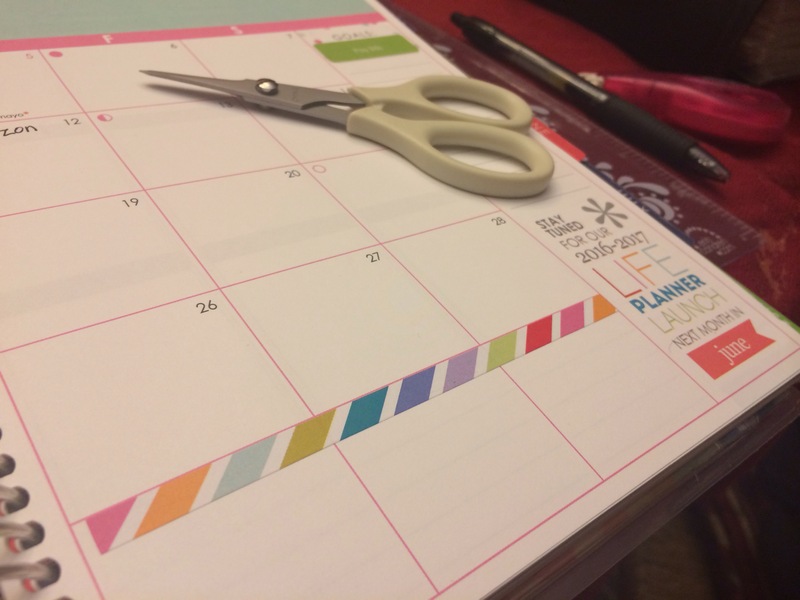 I’m loving my planner being only Erin Condren this year. It’s requiring me to be creative and utilize what supplies I have in many different ways!! These two photos have been floating around FB, so I thought I’d share them here. Enjoy!